Travel to Vientiane, the capital and largest city of Laos, you are not only able to admire such unique architectures as Pha That Luang, Buddha Park, and Patuxai Victory Monument, but also have totally different shopping experiences. 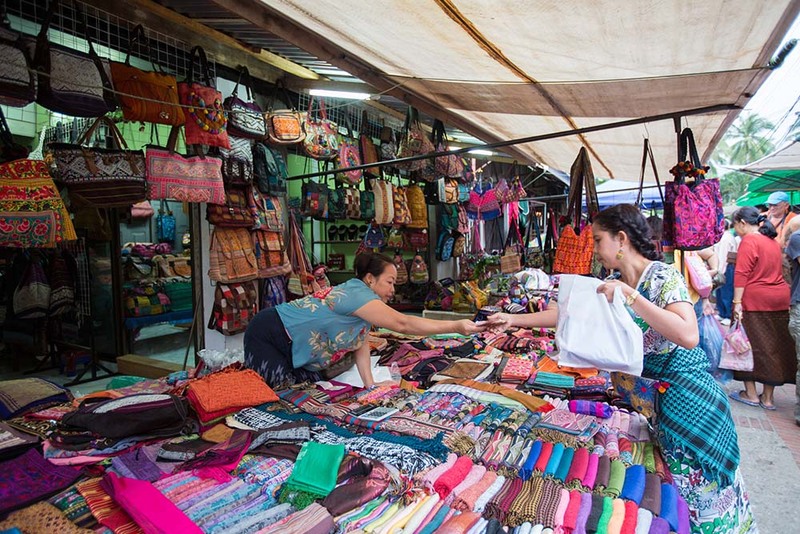 Here are some guidelines to go shopping in Vientiane. It can be said that Night Market is the most famous place for shopping in Vientiane with noticing the red-roofed stalls. The vendors start to set up their stalls at the twilight, selling their products until mid-night. Opening during the night, this market looks more outstanding than ever with glowing stalls under the light. 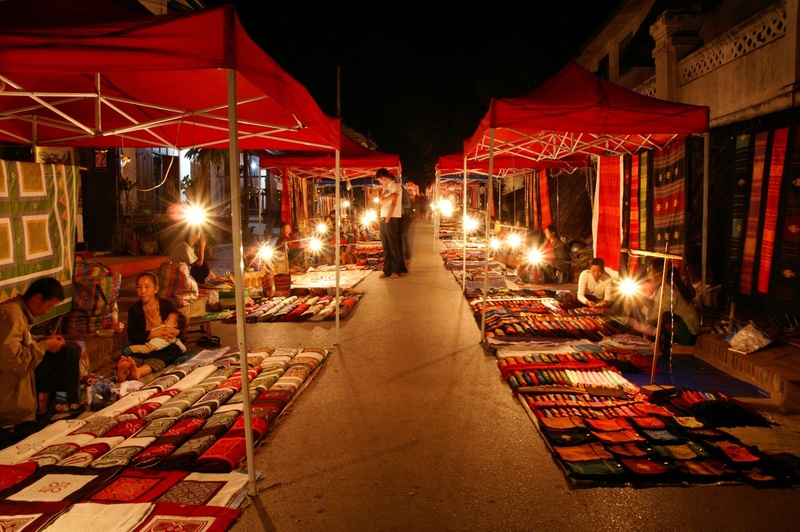 Selling a lot of clothes, handicrafts and souvenirs, Vientiane Night Market is really a good place that you cannot miss. Location: Riverside promenade, upstream from the Chao Anouvong statue. Besides Vientiane Night Market, you can go to Talat Sao morning market to enjoy some local food or buy anything you would like. Talat Sao consists of 2 areas, the outside section which are narrow walkways crammed full of rough items while the inside one is more spacious, cooler and brighter. The market mainly includes shops, fruit and vegetable vendors, jewellery, silk, handicrafts, and restaurants. The market kicks off at 7:00 AM and often close quite early in the afternoon. In the market, the price is often offered higher than it really is so before you buy anything, make sure that you have walked around other stalls and bargain to get a lower price. Location: the eastern corner of Lan Xang Road and Khu Vieng Road, Vientiane. If you want to get a textile item, Carol Cassidy Lao Textiles should be a brilliant destination that is worth a visit. 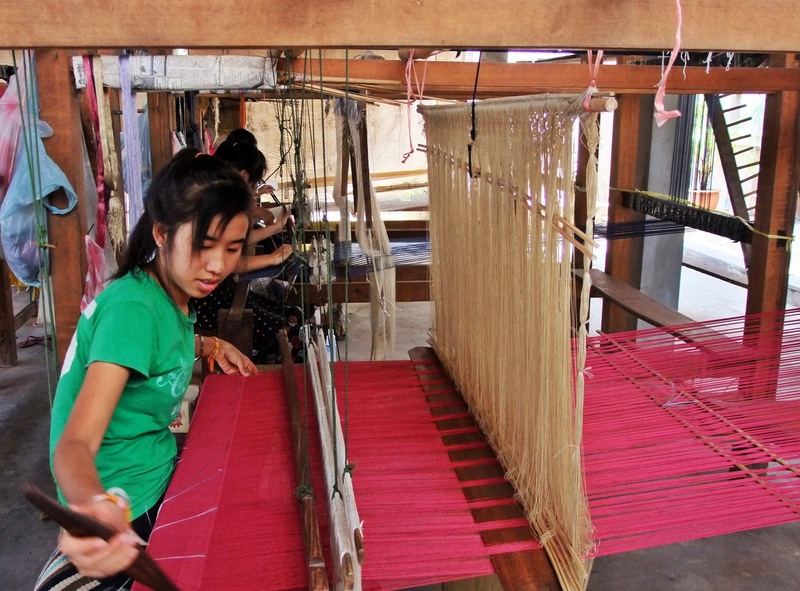 Visiting this place, you can not only buy a beautiful silk, but also watch the way the people wave and dry the textiles. Keep in mind that this place doesn’t open at the weekend except for Saturday morning. You are wondering where is the reasonable place to enjoy street food in Laos? Vangthong Evening Market is the spot that you are looking for. Fresh fish, grilded meat and snacks are available in here. Walking around the market, you would leave here with a full stomach.